Many years ago, an American skier likened Furano Ski Resort to ‘Alcatraz.’ That was the season of 03/04 when skiing Furano’s off piste terrain was still strictly prohibited. The courses were completely enclosed by orange ropes, and while not impossible to go under, this was breaking the rules. probably last skied in the 80’s, back when the on-piste and neon one piece suits were all the rage. The resort’s stance was that they were leasing the pieces of land that the ski runs were on. By skiing off these areas, technically you weren’t on the resort, and it was enforced by the patrol. Looking at resort reviews from those years, Furano did not rate well. 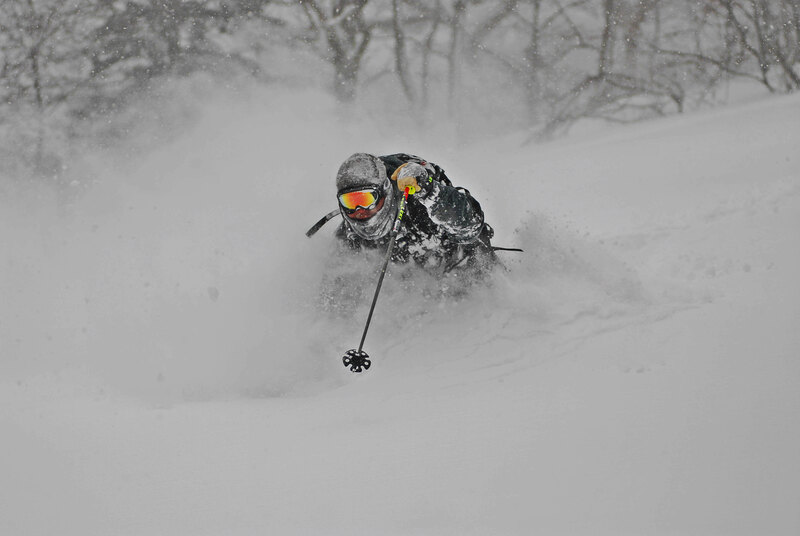 Most reviewers talked of a resort with great terrain and some of the best powder they had experienced, but feeling like something close to criminal to ski it. and exit points. Others had reversible ski jackets. If they had been targeted on a particular day, they would turn their jackets inside out to elude patrol. As a Furano based ski guiding operator, you would have thought this policy would have posed something of a problem. In actual fact right from the start, we had been given special permission to guide off-piste. Prior to arriving in Furano, I had been in contact with the Furano Tourism Association and informed them of my experience and credentials. They had then introduced me to the ski resort manager. This introduction was key and gave my organization some credibility. 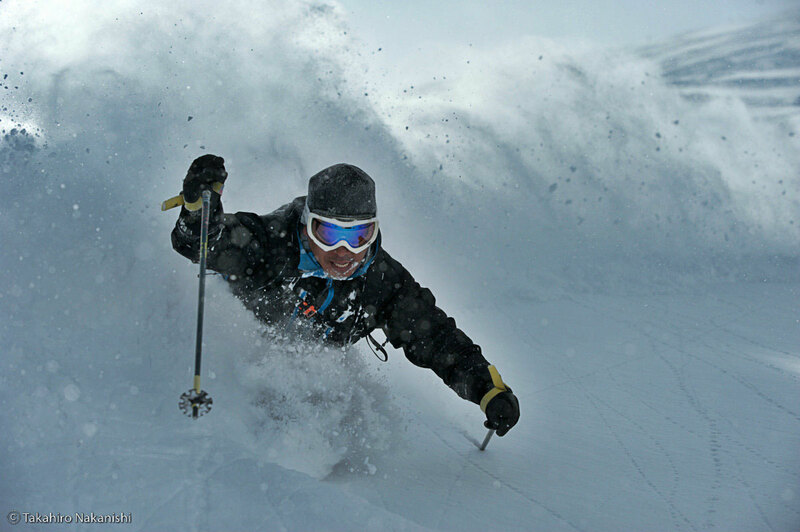 I was then allowed as an operator to take clients skiing in to the off-piste terrain. It wasn’t the only hurdle though. Intention forms had to be lodged with the local police and then a copy to the patrol. The clients would wait while I dropped in to the patrol office. In those early days, it wasn’t a task I looked forward to. Inside were the whole crew of junior and senior patrol waiting in the warmth for any injury call-outs, looking at me. Through the thick cigarette smoke, it wasn’t difficult to sense their reluctance to grant me these special off-piste privileges. I had to state my case, which would eventually result in a call to the manager to confirm. When the confirmation came through, the senior patroller would signal for a junior to take us to the top of the resort. Once the group were assembled by the resort boundary, he would lift the rope and we would boot pack out in single file, each following each other’s steps to behind the trees where our ski tracks wouldn’t be visible. To onlookers, we were getting the red carpet treatment, but it wasn’t without some persuasion. 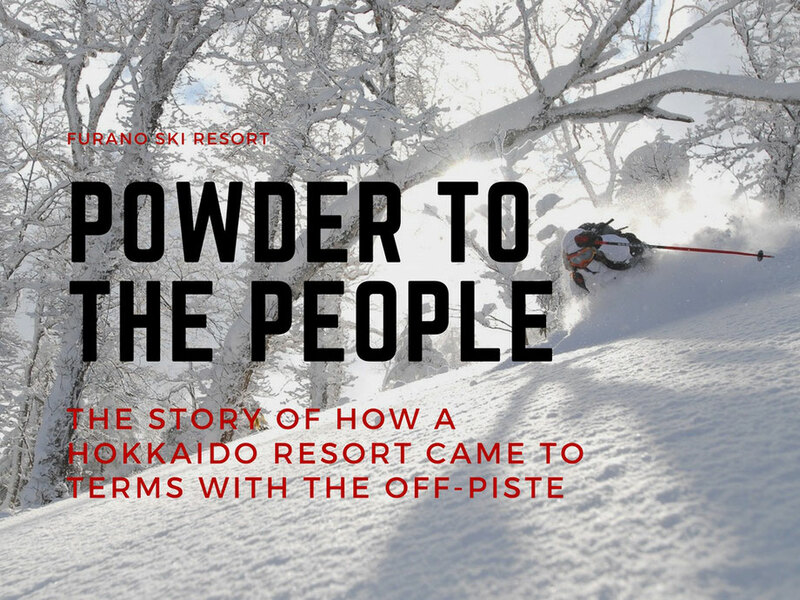 For quite a few years there was only us and a few die-hard locals skiing out of the boundaries. 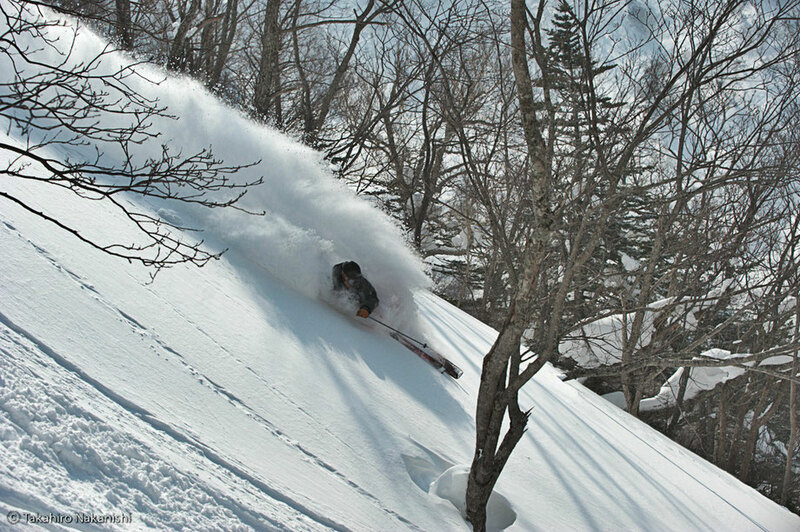 And then around seven to eight years ago, more and more freeride skiers started coming to Furano and skiing the off-piste. There was an occasion when we were filing under the rope, held up by the patroller, when a group of skiers ducked under the rope right next to us and skied away. By sheer skier numbers exiting the boundaries, the patrol had become powerless to stop them. The ropes still existed, and the official company line was that off-piste skiing was prohibited. But in reality, given the number of ski tracks in the trees after a powder day, it signaled a reluctance of the management to curb the powder exodus. And then two seasons ago, a directive was received from head office to allow off-piste skiing. The change in stance was to pursue the foreign ski market. Almost immediately the ropes came down and Furano Ski Resort became unshackled. 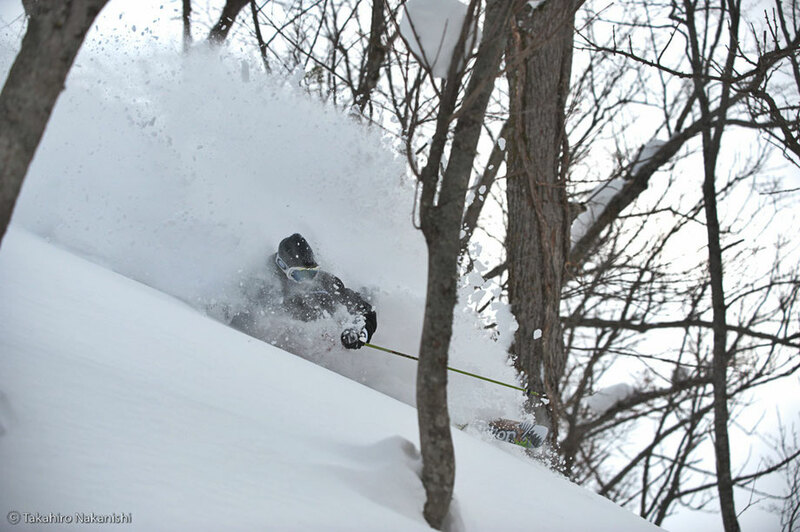 Like Niseko United Resorts, there are now gates where you have to ski in and out of. But these aren’t opened or closed depending on weather conditions. Intentions forms in English can now by lodged at the ski ticket counter. By calling in to the ticket counter at the end of the day, you can formally sign out. Last season I was back on the resort with a group after a long period of guiding other places. It had snowed 50 cm overnight and Furano was the place to be. Instead of lodging my intentions forms at the ticket office, I dropped in to the patrol office, perhaps spurred on by a sense of nostalgia for the past. Inside, the smoke was still thick, and many of the faces were still the same. But the resentment had long gone and the welcome was hearty and warm. Maybe for them, like for me, it was like an old friend returning, or at least a familiar face. A great write up with beautiful photos! We can't wait to go to Furano! Our third time there and one of our favourite ski resorts. Yes, totally agree with Geraldine- great read and beautiful photos. 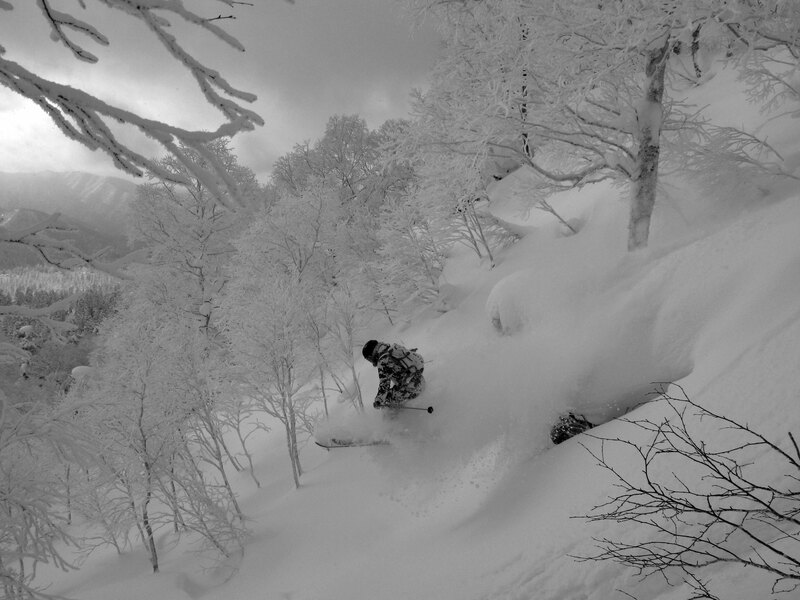 We are looking for a tour of Furano resort, in bounds, for 4 people on February 4th. I can be reached at mikethornhill99@gmail.com Thank you!